A pool heat pump is an investment that should enhance your swimming pool experience for many years. Pool heat pumps cost significantly less to operate than gas heaters, making them more affordable in the long run. Typically, a pool heat pump will heat your pool for half the operating cost of natural gas and a quarter of the operating cost of propane. Pool heat pumps are great for constant heating, and are perfect if you use your pool frequently. Heat-cool pool heat pumps (pool chillers) are just the right heater for geographic areas with cool temperatures but also hot summer months. These models will cool your pool on hot summer days and also warm your pool on colder days when the air temperature is too low for a regular pool heat pump. Geothermal heaters (water-source) rely on heat from a water source and operate independent of air temperature. These work well in colder climates by providing comfortable swimming in fall and winter. There are many brands and sizes out there – so where should you start? As an authorized dealer, we have sold pool heaters all over the world every day for over 25 years. We know who offers the best warranty, the best customer service, and the best quality made product – please call us! We are here to help you choose the best pool heat pump for your pool and your price point. Parts, on-site labor, heat exchangers, and compressors have different warranty durations. Most manufacturers cover parts and on-site labor for two years and compressors for five years. The warranty on heat exchanger corrosion varies depending on the manufacturer. Some offer 5 or 10 year coverage, while others like AquaCal, Gulfstream, and Heat Siphon offer lifetime coverage. The heat exchanger’s main purpose is to transfer heat from the refrigerant to the swimming pool’s water. Traditionally heat pumps used copper and cupronickel heat exchanger tubing because it is inexpensive and transfers heat efficiently. These materials are prone to water chemistry damage, so most manufacturers have moved to titanium heat exchanger tubing. While more expensive, it is more durable and impervious to chemical corrosion. Energy efficiency is measured by the coefficient of performance (COP). The higher the COP number, the more efficient the unit is resulting in lower operating costs. COP’s usually range from 3.0 to 7.0, which converts to an efficiency of 300-700% for pool heat pumps. Not all pool heat pumps are created equally – a pool heat pump with a lower COP may cost you less initially, but will cost you more in the long run due to higher operating costs. Whether you buy from an on-line retailer or a physical store, check their reputation and reviews. How long have they been in business? If the equipment is delivered damaged, will you be able to get in touch with a real live person to handle the problem? It’s a big investment! A reputable dealer can help you through the process and stand by their product. 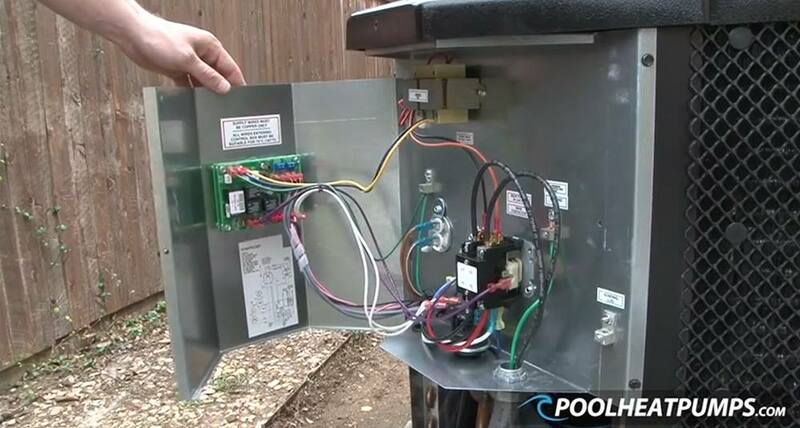 The specialists at poolheatpumps.com will give you expert advice on the size and model of pool heat pump that will be perfect for your swimming pool. You can also access our website for information on heating your pool as well as installing a pool heat pump.